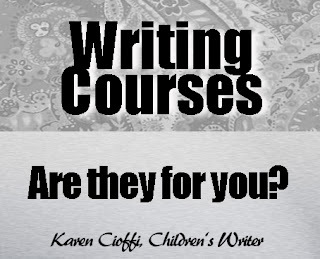 Writers On The Move: Writing Courses - Are They for You? I have been intrigued by a new product advertised in magazines like National Geographic, Time, Archaeology and the like. It is a series of courses offered by http://TheGreatCourses.com. All are taught by accredited college or university instructors—mostly colleges we would be familiar with. Their ads always publish a complete list of the individual lecture titles and give the name of the professor. These programs remind me of the ones I took a long time ago; we called them home study courses and everything was done by mail. I can remember typing up my lessons on a typewriter, folding them, and stuffing them into an envelope, licking it, and licking the stamps. Yes! Licking! 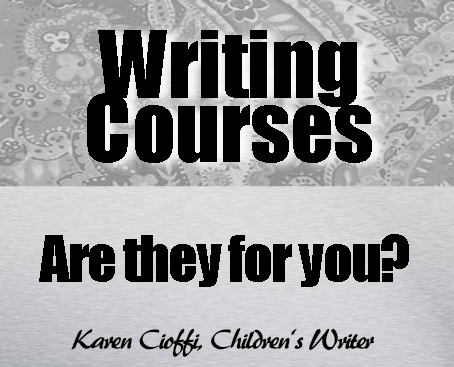 This month the ad featured a course called “Writing Creative Nonfiction.” I haven’t bought it—yet. The CD course is $49.95 and the DVD is $69.95, so they’re frugal enough. Lots more frugal that most courses from accredited universities. The teacher for this one is a full professor from Colby College. And the name of one of the lectures: “Writing the Gutter—How to Not Tell a Story” caught my attention. I also thought the one called “How To Not Have People Hate You” might intrigue writers who worry—a lot—about that! Perhaps I would pick up some tips for the presentations I do for writers' conferences. So, what’s keeping me from ordering the course? So, what is holding me back? Time. I’m still in the final throes of writing the third full book in the HowToDoItFrugally Series. It is How To Get Great Book Reviews Frugally and Ethically: The ins and outs of using free reviews to build and sustain a writing career to be released this fall. I’m through the fun part and am struggling with the Index. So maybe I need a break? What do you think? BTW, if you are interested in checking this course out, go to http://TheGreatCourses.com/5TME. There may be some other fantastic ones that would interest you. The range of topics that would interest creative people is huge. And, if you buy one, let me know what you think, will you? Carolyn Howard-Johnson, author of This Is the Place; Harkening: A Collection of Stories Remembered; Tracings, a chapbook of poetry; and how to books for writers including the award-winning second edition of, The Frugal Book Promoter: How to get nearly free publicity on your own or by partnering with your publisher; The multi award-winning second edition of The Frugal Editor; and Great Little Last Minute Editing Tips for Writers . The Great First Impression Book Proposal is her newest booklet for writers. She has three FRUGAL books for retailers including A Retailer’s Guide to Frugal In-Store Promotions: How To Increase Profits and Spit in the Eyes of Economic Downturns with Thrifty Events and Sales Techniques. Some of her other blogs are TheNewBookReview.blogspot.com, a blog where authors can recycle their favorite reviews. She also blogs at all things editing, grammar, formatting and more at The Frugal, Smart and Tuned-In Editor. Carolyn, this is a helpful writing tip. I took a look at the site and it has lots of affordable courses. Thanks for sharing. I purchased an "audible" Great Courses on creativity and got a lot out of it. I also have watched a DVD version from Great Courses on teaching and found it had a lot of useful information.